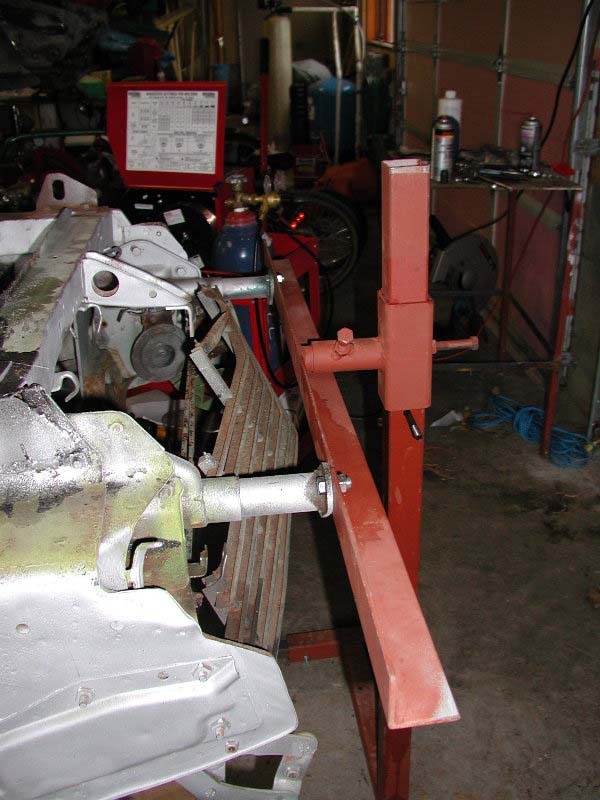 Key points to note: 5 inch offset of rotation from top bumper bolts to center of angle iron. 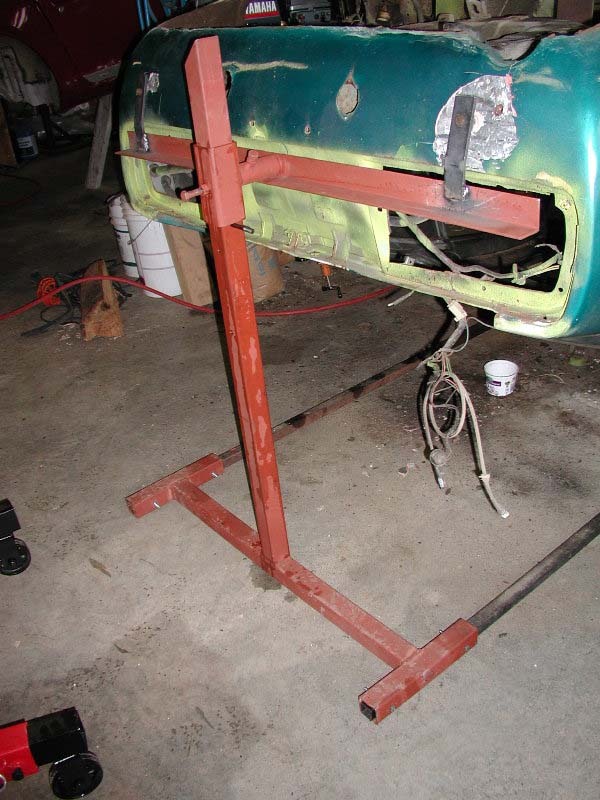 Start with car on jack-stands and lift up with cherry picker (not by hand) and lock the front so that it does not slide and tip forward. 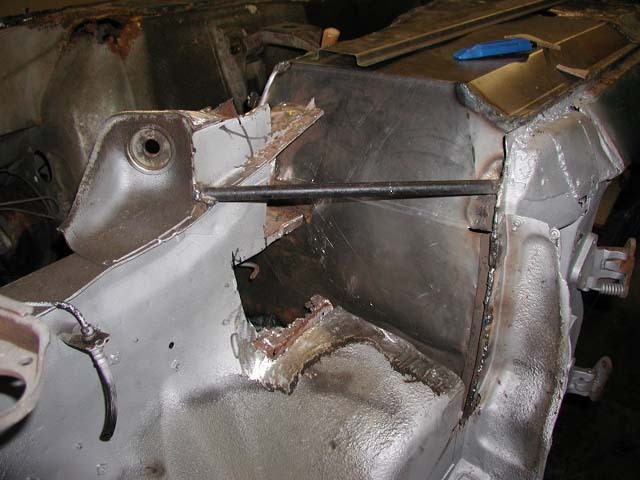 Then place bolt through hole drilled 36 inches off the floor. I used a head bolt. Note the center of rotation is higher than the pin by about 4 inches too. You need 32 inches to clear the floor. The tabs are bent slightly to keep the rotation parallel to the floor. Also note the bracing on the floor that connects the front and rear stands. Note the car is upside down! The tabs on the back are actually going up to the angle iron 5" to the center of rotation. Key Points to note: Center of rotation in middle of bumper. Flip it over and start Fryin' :^) This is the way to go. If I were doing this again I would add a saftey bolt through the horizontal rotation shaft. 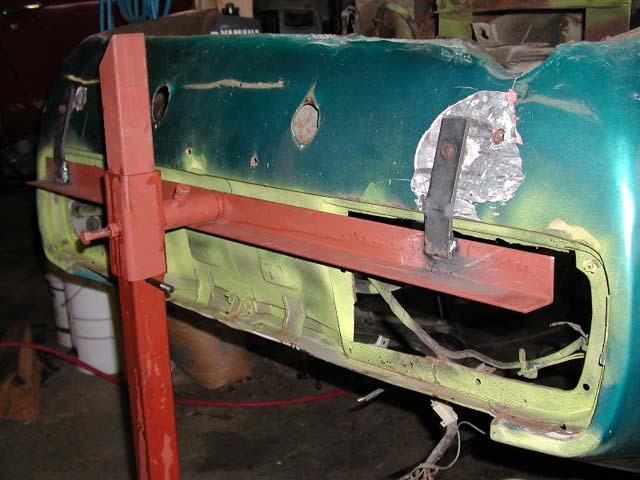 Below: Here is another picture too of the passenger firewall from below, this is where the battery acid eats the floor out.